(hla) Fainting while exercising can be dangerous. 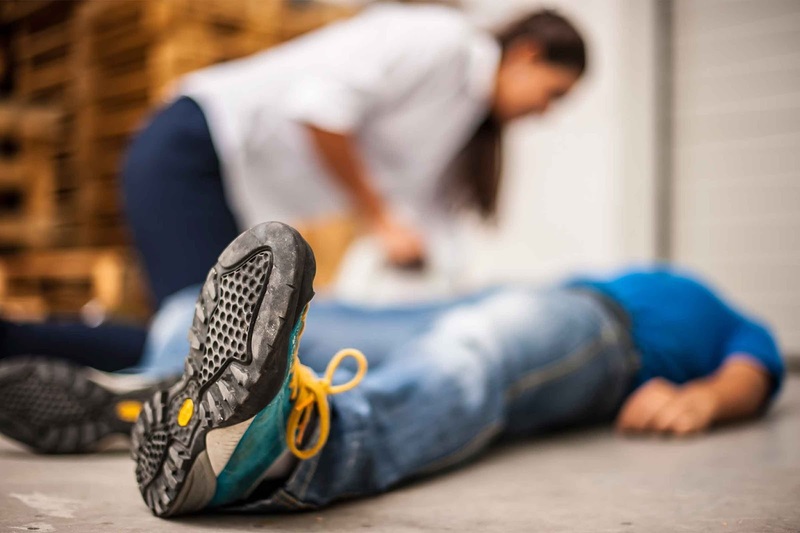 However, according to the National Institutes of Health Medline Plus, the underlying cause of fainting may not always be caused by a serious condition. The cause of fainting can be due to malnutrition, overheating, dehydration and stress, though in serious cases, an underlying heart disease may also be the cause. It is therefore important for both the instructor and client to fully understand his/her body condition before conducting any exercise. Having improper breathing during exercise will also decrease blood flow to the brain. Clients who exercise at the gym should be properly advised as to the importance of maintaining a healthy breathing pattern so as to avoid fainting. Apart from the possibility of indicating a serious underlying health issue, fainting can be dangerous to the victim especially when s/he is using equipment at any fitness centre as this may lead to injury. When the client is unaware of his/her surrounding, s/he may hit his/her head on the wall or any other hard objects, which can lead to the loss of consciousness. • Maintain a balanced diet; avoid overeating or starving before exercise. • Make sure body is properly hydrated by drinking enough water. • Ensure sufficient warm-up before beginning any form of exercise to avoid sudden shock to the body. • Ensure that you are not overheated; do not exercise in an overheated environment. • Seek for professional help if you are under stress. Do not keep it to yourself. • Avoid sudden stop while exercising because the blood pressure can fall and cause fainting. You should slowly cease working out before you stopping entirely so that the heart rate and blood circulation can properly adapt. • If you are not feeling well while exercising, inform your instructor about it. S/he should be able to provide you with proper guidance and keep a good watch if s/he decides you are fit to continue working out. • Educate the client on how to prevent fainting during and after exercise. Do not presume that the client already has such knowledge. • Be alert and keep watch to determine if your client is under stress or not feeling well. • Make sure the environment is not too hot. Ensure that the air is properly circulated throughout the centre/studio. • Avoid giving client vigorous workout without proper preparation. Make sure they are physically ready for any vigorous workout. • Ensure that your client has done sufficient warm-up before the exercise and allow him/her to cool down after exercise. Supervise them and ensure that they do not stop suddenly while exercising. The best thing to do to manage 'fainting' is to let the victim lie on their back and elevate both legs with pillows or anything else that will bring both legs above the heart. Ensure that other clients / students do not surround the victim so that there is proper air circulation to allow easier breathing. The risk of fainting does not happen only during exercise. Fainting can take place after exercise as well. According to Dr. Grant Cooper, MD, in Physical Medicine & Rehabilitation, if there is no proper cool down after exercise, you will also face risk of fainting. Hence, it is important to take all the necessary precautions before and after exercise. The task lies in both the hands of the instructor and the client to maintain a safe environment for working out.